If you are interested in joining one of these shcems or need help in setting up a new scheme, please do get in touch. Following on from the Parish survey completed in 2017, the results showed a clear desire form our residents for a grater emphasis by the Parish Council on public safety, with specific mention being made of Neighbourhood Watch. Therefore the Parish Council has established a small sub-group to identify how the Council can improve both the perception and actual community safety within Up Hatherley. 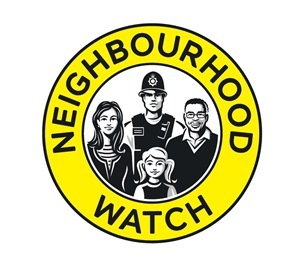 the sub-group have been working closely with the regional coordinators for Neighbourhood Watch in Cheltenham to promote the scheme wherever possible and increase the numbers of scheme operating in the area. The rate of crime has thankfully been falling in recent years but that downward trend has now largely halted and Cheltenham as a whole has seen an increase in house burglary and in thefts of and from cars. Those increases coupled with ever more stretched police resources mean that acquiring vital information about potential criminal activity within our local community is something that each and every one of us can play an important part in. Looking out for criminal, antisocial or simply suspicious behaviour and passing that information on to the police so that they can deploy their more limited resources more effectively is something the Parish Council is keen to encourage. Up Hatherley Parish Council believes that Neighbourhood Watch schemes help people to keep an effective look out in their area and it has been shown nationally that homes covered by a these schemes are less likely to be burgled. So why not come along to our meeting at the end of March and see if you can help make your road a safer place to live in. Following on from the successful initial meeting at the Village Hall, the Parish Council will continue to collate details of anybody looking to join a scheme in their area, or register their interest while we work towards setting up as many schemes as possible across the Parish area. Please take a few moments to fill in the survey below and help us develop and promote Neighbourhood Watch in your area. Please feel free to add as much or as little information as you feel comfortable in doing so. Your answers will be stored by the Parish Council and will only be shared with the Neighbourhood Watch coordinators for Cheltenham and Gloucestershire to help formulate a plan of action to improve community safety and the presence of Neighbourhood Watches in Up Hatherley..
Are you a member of an existing Neighbourhood Watch Scheme? If so, which area and who is the coordinator? Would you be interested in joining a Neighbourhood Watch Scheme? Would you be willing to become a Neighbourhood Watch Coordinator?